Getting pregnant after a tummy tuck is possible and generally very safe. The tummy tuck procedure should not impact on your pregnancy in any way, however, the pregnancy will most likely impact on your tummy tuck results. The biggest risk is that your expanding tummy will stretch your muscles and skin, and again leave you with a "flabby" belly that is resistant to weight loss and exercise, perhaps even more so than the first time as your skin has already been stretched during the tummy tuck procedure. If this occurs you may wish to undergo another tummy tuck procedure to correct this. Whether the results of your tummy tuck will still be visible after a pregnancy will depend entirely on your individual circumstances. Some women return to their post tummy tuck appearance whereas others will return to having some loose skin and lax abdominal muscles, as after their previous pregnancy. If this occurs it may be possible to undergo a further "touch up" tummy tuck procedure to regain the original results. Can A Tummy Tuck Affect The Foetus? There is nothing to suggest that undergoing a tummy tuck will affect a fetus during pregnancy. The risks associated with this turn of events are generally hypothetical; for example, if the tummy tuck has meant there is not enough room for the uterus to expand accordingly, development and growth could potentially be compromised. However, it’s important to note that many women undergo this procedure and then become pregnant later with no complications. An abdominoplasty involves the removal of excess fat and skin from the middle and lower abdomen, as well as the tightening of the abdominal muscles. During a reverse tummy tuck, the upper abdominal area is targeted. This does not involve any modifications to any organs, and so the body’s ability to reproduce is unaffected. Though the stomach may appear smoother and more refined following surgery, it is still capable of expanding to make room for the fetus as needed. Although the abdominal muscles are tightened during a tummy tuck procedure, it is possible for them to stretch apart again. Therefore if you get pregnant after having had the surgery, your muscles will expand and therefore not adversely affect the fetus. During a tummy tuck, a surgical incision is made in order to remove excess fat and loose skin, and tighten the underlying abdominal muscles. Some scarring, such as that caused by a caesarean section, or stretchmarks can also be improved. Before the procedure, you will have a preoperative consultation at which point you will have the opportunity to ask your surgeon any questions, and receive information about how to prepare for and recover from your tummy tuck. It’s important to note that a tummy tuck is not a form of bariatric surgery, and is not designed to help control your weight. It is however, meant to provide you with a more flattering silhouette with a smoother, firmer stomach. A tummy tuck generally takes place as an in-patient procedure, under a general anaesthetic. In a standard procedure, an incision runs from hip to hip along the pubic area, and a second incision around the navel to separate it from the surrounding skin. Fat is then suctioned out and the skin is pulled down tight, placing the navel in a new position that is in proportion with the abdomen, and these incisions are then sutured closed. There are other methods of conducting mini or extended tummy tucks that can result in different incisions being made. For example, during a circumferential or extended tummy tuck, incisions are made around the body to allow fat to be removed from the flank and lower back area if required. 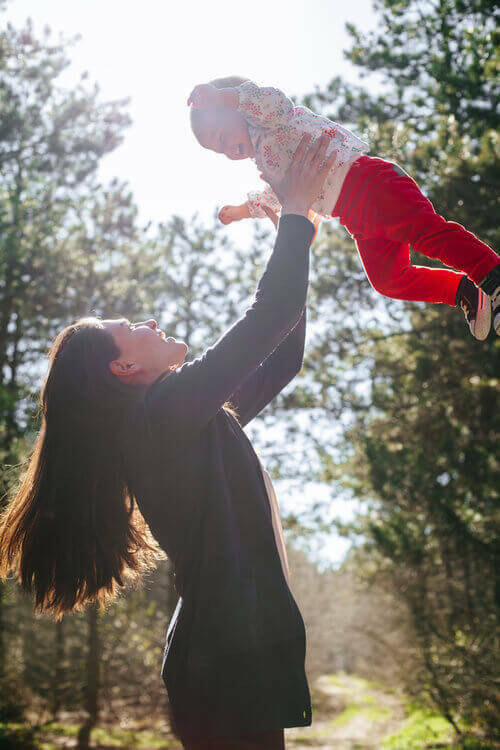 As the abdominal vertical muscles that were tightened during the tummy tuck surgery can stretch apart again during a pregnancy, most surgeons recommend that women complete their childbearing before undergoing the procedure. However, should you wish to have more children after having a tummy tuck, you will be advised to wait 6 months to a year before doing so to allow your muscles to heal. Immediately after the surgery, it is normal to experience some pain, swelling and discomfort. You may need to stay in hospital for two to four days following your tummy tuck to enable your medical team to watch for signs of infection and complication, and also to administer further pain relief as needed as the anaesthetic wears off. This pain medication can be administered through oral tablets or through an injection if required. Your wounds will be covered in dressings, which may have small tubes inserted to drain any build up of excess fluid. These will be removed before you are discharged, and it’s important to note that you will not be able to drive yourself home from the hospital, so you should arrange to have a friend or family member arrive to take care of this for you. General anaesthesia can temporarily affect your ability to reason, along with your co-ordination skills, and so it is recommended that you have a friend or loved one stay with you 24 hours afterwards to ensure you don’t make any impaired decisions. In order to prevent any strain being put on your stitches, your surgeon may advise you to keep your knees bent when you are recovering in bed. Depending on whether you have dissolvable stitches, you may also have to return to have your sutures removed. You may wish to manage your pain with over-the-counter medication as required while you rest at home, but most people feel able to return to work approximately four weeks after undergoing surgery. You will be given advice about how to properly care for and change your dressings so as to prevent infection, along with other post-operative instructions when you depart the hospital. It can take up to six weeks to make a full recovery from an abdominoplasty, but as each patient is different, this time frame can vary.